Do you have donors who aren't interested in buying more "stuff" but want to support your cause nonetheless? Nearly all fundraising events can benefit from incorporating a fund-a-need or special appeal. 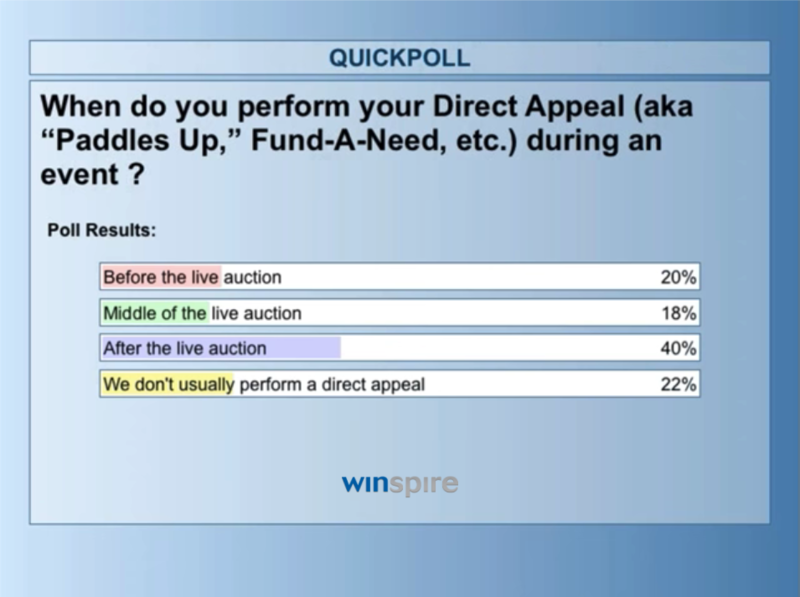 But in a recent Winspire webinar, we learned more than 1 in 5 nonprofits aren't doing a special appeal at all! Whether to recap results if the goal isn't met...and more! 1. What do you call the special appeal? "I've heard it called special appeal, fund-a-need, give from the heart, fund-a-dream, paddle raise... There are many names for it," Robertson says. "One name I don't like is 'cash call'. That seems a bit demeaning to me. It's not a fun, friendly term." You want to keep the entire fund-a-need positive and emotional. Keep the focus on why you need the money, where it's going to go, and how it's going to positively impact the lives of others, rather than simply asking for cash. 2. When do you start the fund-a-need in relation to the live auction? One of the big questions is where to place the special appeal. The best answer for your event depends upon the number of live auction items, the situation and your auctioneer's preference. "I've done right before the live auction, middle of the live auction, done it at the end. All of them were successful," Robertson says. "But more and more, I’m going to the fund-a-need first." Here's more on his experience. "The trend I'm seeing more and more is to do the special appeal before the live auction," Robertson says, and the reason is simple: "People with more energy, who are more awake and more receptive to the message, give more." In addition to hitting your fund-a-need goals, you'll increase revenue overall. "Success breeds success," Robertson asserts. An energetic fund-a-need sets the tone for rest of event. "I used to be a big fan of doing it in the middle, but I don’t think this strategy works as well as it used to. The problem is that doing so brings the energy level down, and we have to bring it back up again," Robertson cautions. "The item after the special appeal, if it was wildly successful, turns into a 'sacrificial lamb' needed to reorient the crowd. By this I mean you would need to use a live auction item for which you're almost certain you'll have a buyer, right after the special appeal. That item will bring back some energy but is not going to generate as much money as it possibly could have, because of the emotional high generated by the fund-a-need. People lose their focus for a minute. It’s going to sell but not necessarily get a ton of money. It’s a recovery time." 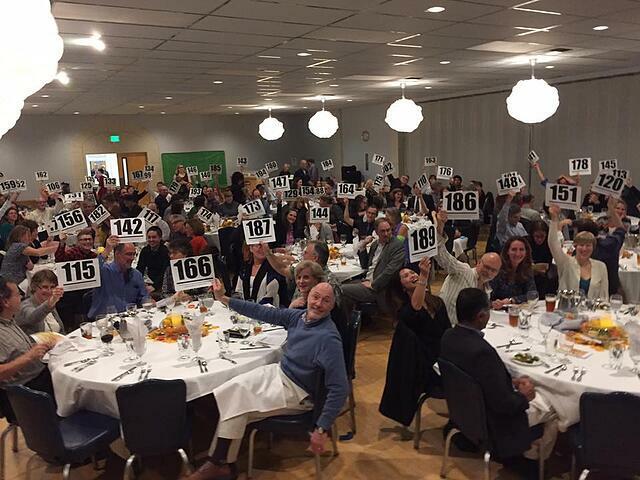 Sometimes nonprofits want to hold the fund-a-need at the end, the idea being that people will spend money on the special appeal if they miss out on live auction items. "Unfortunately that doesn't hold water with my experience; I haven't seen that at all," Robertson says. "I've found people attend events with two mutually exclusive pockets of money. The first pocket is what they're going to give to the charity. The second is what they're going to spend on auction items, like trips and experiences. For people who attend a lot of events, auctions are where they get their vacations," he adds. "If they don't spend all of one pocket, that money does not transfer to the next." 3. How do you kick off the fund-a-need? To start off your fund-a-need, you need an emotional trigger. "People need to understand the need. They need to know how your charity has impacted one person," Robertson says. Remember to keep your emotional impact focused, he adds. "If you have three people that have been helped and you tell all three stories, you just told two too many. If you tell 3 stories, people forget the first story, and you're suddenly confusing people...and confused bidders don't buy." So stick to telling one story. Perhaps show one video or have one speaker. (Tip: Use a video that has excellent lighting, light outdoor lighting, so it's easy to see.) Make that one example concise, emotional, and ultra-focused on your mission. 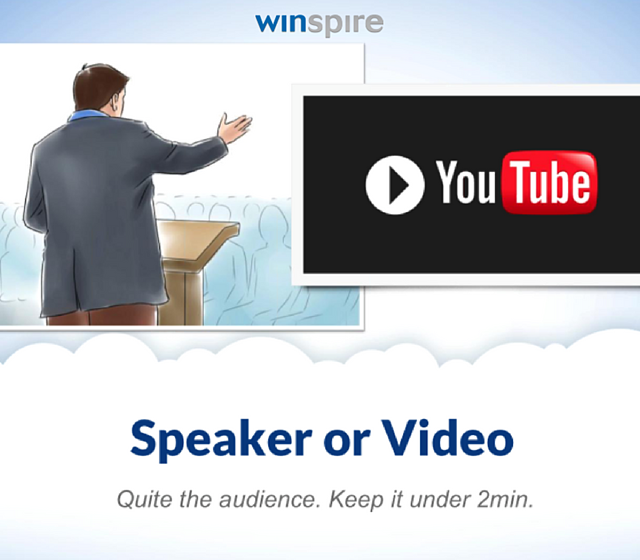 "If you don't have a video, I as an auctioneer have made the pitch before. 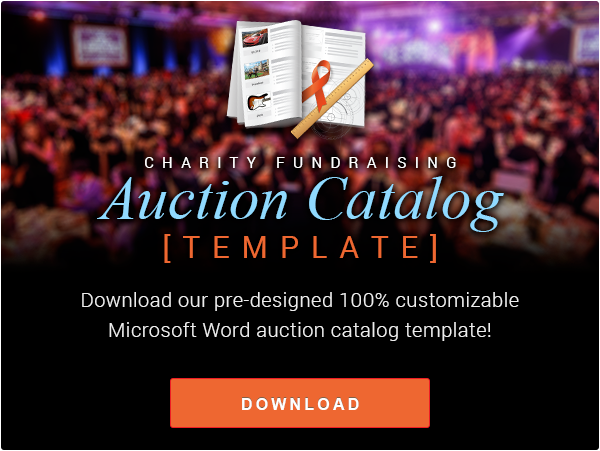 But generally speaking, if the fundraising auctioneer makes the pitch, I need to be backed up with pictures and slides so I'm able to trigger the emotion needed for a compelling reason to give." 4. Can you use mobile bidding for an appeal? How important is it that attendees have bid cards? In our experience, bid paddles are imperative to a successful fund a need. Why? Emotional factor. Bidders are more moved when reaching down, grabbing that paddle and holding it up high in the air. Expedite giving. A fund-a-need takes all of 10 minutes, but that can be an eternity if you're someone sitting in the audience. If people raise paddles, the auctioneer identifies them by their number - "363, thank you so much" - and move right along at a steady clip. We all have short attention spans, so the auctioneer needs to be able to recognize bid paddles as rapidly as possible, with a steady cadence. "Funding Pleas that rely on smartphones rather than holding up a bidder number are a bust. I recently did a first-time event in Tennessee that had over 650 guests. They used mobile bidding software, which is fine and I endorse this technology - for the silent auction. For the Funding Plea, against my suggestion, they relied on people simply using a button on their smartphones. They raised $45,000 when they should have raised $100,000! They budgeted $200,000 from my portion of their event, and I raised $275,000, including the $45,000 plea. Next time they will follow my advice. The next week in Ohio, with an audience of 125 people, I used the tried-and-true 'hold up your bidder number' Funding Plea. I raised over $52,000. Best of all, we had a matching $50,000 donor, netting over $100,000 for the organization." 5. What's the easiest way to track pledges? During registration, assign each attendee to a bid number. Then have recorders at the ready to write down bid numbers during the fund-a-need. "I've tried to do fund-a-needs on the honor system with people just putting their hands up. 20 people put their hand up, but 14 show up at the cashier's table on the way out the door at the end of the night," Robertson says. "You're giving them an opportunity for buyer's remorse, and we don't want that to happen." Another line of pushback against bid paddles is when nonprofits don't want to saddle attendees with a clunky bid paddle. Fortunately, it doesn't have to be that way. Try putting the number on a piece of paper that can easily be folded, or better yet, leaving the bid cards at the assigned tables. Put their name on the paddle, put the paddle at the table, make sure people pass out the paddles, and you're ready to go. 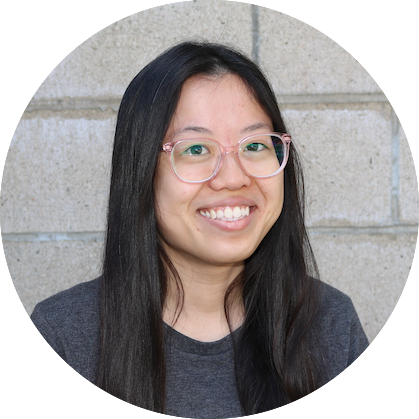 "Sometimes nonprofits are worried about a cumbersome registration process. To them I say, what is the purpose of the event? To make it easier for staff, or to raise as much money for the organization as possible? It's too cumbersome not to use bid numbers," Robertson concludes. Virtually any auction software is based on paddle number, not names. If you stay organized throughout registration, the process is very straightforward and prevents money from falling through the cracks. 6. Do you recap the Special appeal if your goal is not met? We often recommend sharing the grand total at the end of the night to appreciate all who gave. So what do you do if you don't meet your goal? "It totally depends upon the feeling of the room at the time," Robertson says. "If it feels like there is money left on the table, or we are near a goal amount or a round number, I might consider recapping for the purpose of doing a second ask.If suddenly there is new information that just surfaced which can inspire people, I might consider it. "My rule of thumb: Don't appear desperate unless you truly are." Thank you to benefit auctioneers Scott Robertson and Doug Sorrell for contributing their expertise to this post! Please share with your entire auction committee, and we wish you best of luck as you strategize the next appeal for your event. Please ask any questions you may have in the comments below.